The Evolution of Religion and Morality: "The Evolution of Religion and Morality” is a grant awarded to a group of directors from UBC-SFU’s Centre for the Study of Human Evolution, Cognition and Culture (HECC), led by Edward Slingerland (PI) at UBC. It centers on a project of unprecedented scope and ambition aimed at exploring the cultural evolutionary roots of religion. This six-year project brings together the expertise of over fifty scientists, social scientists and humanities scholars from universities across North America, Europe and East Asia—along with postdocs and graduate students—into a research network that will be called the Cultural Evolution of Religion Research Consortium (CERC). Over this six-year project, CERC aims to answer the question of what religion is, how it is linked to morality, and why it plays such a ubiquitous role in human existence. The grant will also contribute to the establishment of a new, interdisciplinary Program for the Study of Religion at UBC. Leadership:Our objectives in this project are to: (a) investigate whether two distinct status-seeking social strategies— labeled Dominance and Prestige—are both effective avenues to successfully leading and influencing teams; (b) explore how Dominance and Prestige strategies are signaled and sustained through leaders’ verbal and nonverbal behaviors; and (c) examine the impact of Dominant vs. Prestigious leadership on group performance and on follower psychology, including well-being and satisfaction. Measuring Cultural Variation: Development of new tools for the measurement of culturally-shared mental phenomena (e.g., representations, scripts, prejudices); studying mechanisms by which these phenomena are transferred and adapted across individuals; and advancing research on the distribution and transmission of cultural phenomena within populations. Understanding God's Mind: This study will focus on the relationship between how people from different religious traditions understand divine minds, and how this perception influences decisions to cooperate.cooperate. Existing psychological work, performed mostly in North America, suggests that people are capable of perceiving other minds (including divine minds) along a spectrum from more human-like, with personal goals and limited scope, to a hyper-agentic super-intelligence that sees all actions and thoughts. An independent line of work, also performed principally in North America, shows that people who believe in God cooperate more with anonymous others because they feel they are being divinely monitored. We aim to link these two lines of research by comparatively exploring how people from diverse religious traditions and cultures understand the minds of their deities, and how this may or may not impact cooperation with others who stand at different social distances from the actor. The Psychology of Kinship: The focus of this project is to open up a detailed psychological study of how we think and feel about our kin relations — in terms of altruism, authority/equality and sexual attraction — that examines the possibility that this psychology is jointly influenced by both evolved psychological mechanisms and by culturally-evolved kinship systems that vary across historical and cultural contexts. 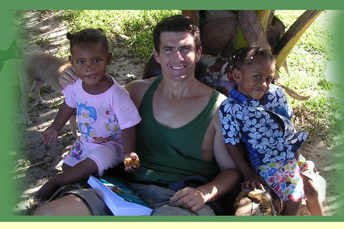 Broadly, our comparative study of kinship psychology in Fiji and Vancouver will foster a new line of research for cultural psychologists while at the same time providing crucial tests of evolutionary hypotheses in a small-scale society. Virtues in Conflict : "Virtues in Conflict " explores how people from different cultures make tough choices between the better of two goods. Folksociology: A cross-cultural and developmental investigation of how groups influence thinking about individuals. Funded by the Social Science Research Coucil. Human social life is dominated by groups. Clans, clubs, castes and guilds, along with a constellation of other groups, shape all aspects of human life, from trade and cooperation to marriage and child-rearing. Casual observation suggests that not all kinds of groups are equally salient and durable. Some groups, ethnic and racial groups in particular, seem to stand out in their ability to variously motivate in-group trust and out-group oppression. Our project team aims to probe the psychological foundations of how people in very different societies think about ethnic and racial groups, whether such groups evoke different patterns of inferences vis-à-vis other social groups, and how these patterns develop in children. The Origins of Prosociality. Funded by the MacArthur Foundation The projects involves a comparative study of prosocial behavior in chimpanzees and human children in order to illuminate the phylogeny and ontogeny of social behavior. Collaborative work with Joan Silk, Sarah Brosnan, Daniel Povinelli, and Jennifer Vonk.